 I thought I’d do something slightly different this week and post a recipe. 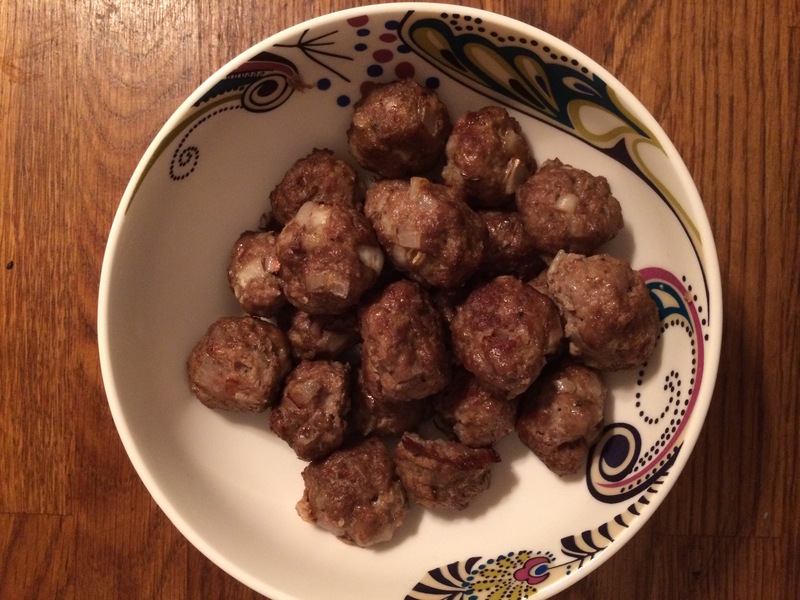 These mini meatballs are really quick and simple to make, and they taste delicious. There is no added salt, so they are suitable for children from six months old and the subtle flavours are perfect for young tastebuds. In fact, you might need to watch out for hungry husbands, as I caught Grump stealing a few for himself this evening. 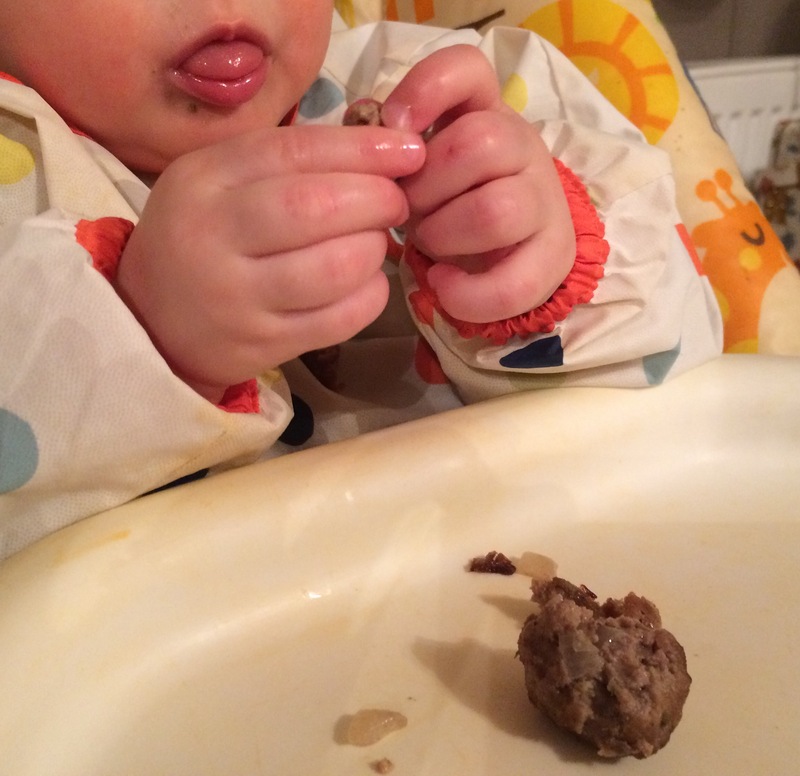 I tend to offer these meatballs as finger food, but they could also be made into a meal by adding chopped up spaghetti and a tomato and basil sauce. Preheat your oven to 220ºC/fan 200ºC/ gas mark 7. Get a baking tray ready with some silver foil and spritz lightly with oil. To make the meatballs, crack the egg into a large bowl and beat with a fork. Add the raw mince, chopped onion (make this as small as you can), mixed herbs and black pepper, and mix everything together with your hands. Sprinkle on the flour and mix further. Then, separate chunks of the mixture and roll into balls using the palms of your hands. Place each ball on to your baking tray with a decent gap between each one (see photo below). Cook in the oven for 20 minutes. 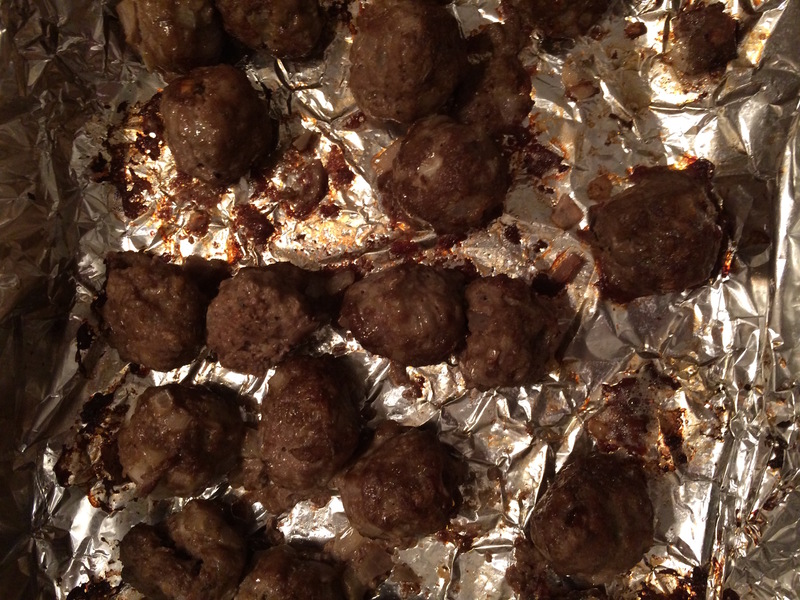 Make sure you give the baking tray a shake halfway through to prevent the balls from sticking to the silver foil. 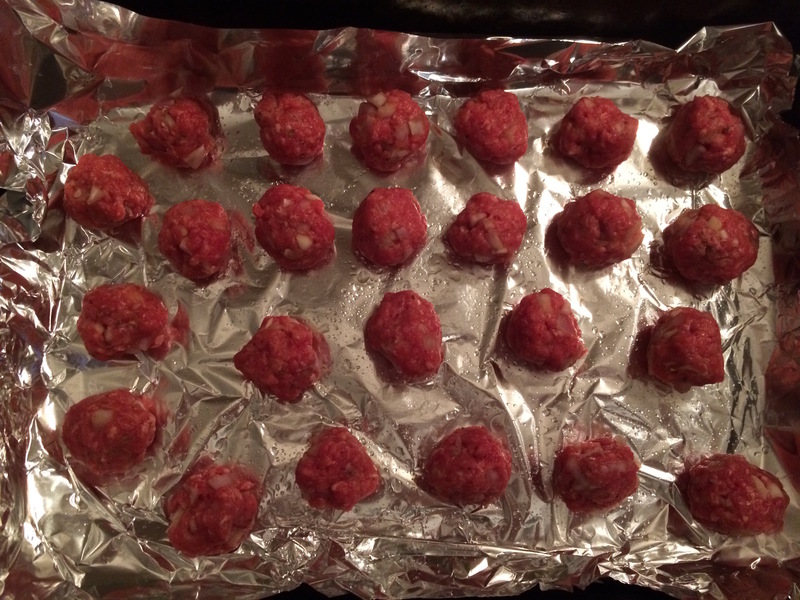 Once cooked, leave the meatballs to cool and serve. Easy, peasey. You can store any leftovers in the fridge for a day or two, or pop them in the freezer to eat at a later date.